As one of a new breed of science fiction novelists, Jackie's work weaves mind-bending fringe science with modern day mysticism into thrilling, engrossing tales that keep you at the edge of your seat. Much of Jackie's work is inspired by her fascination with space/time and the relationship between science and human consciousness. 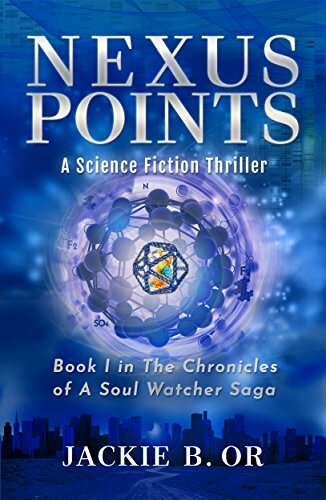 This fascination has led to personal experiences that culminated in the inception of the Chronicles of The Soul Watcher science fiction novel series, which, as currently conceptualized, is comprised of five three-book stories, totaling fifteen volumes. 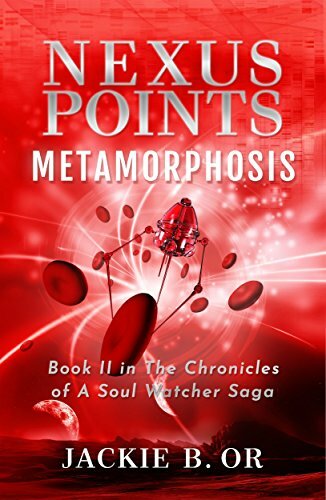 Written in a purposeful sequence, the Nexus Points three-book story marks the beginning of the Chronicles of The Soul Watcher saga. Jackie graduated from the University of California at Berkeley with a degree in Molecular and Cell Biology. Prior to becoming a science fiction author, she had a successful high-tech marketing career and ran her own business. She currently lives in Southern California. Get the First Few Chapters of Book 3, the Final Installment in the Nexus Points Story Before Its Release Date! You will also receive bonus material, such as the first few chapters of Jackie’s new books ahead of their release dates, and advance notice of book launches. We respect your privacy and will send you no more than 3 to 4 emails per year. Your email will never be shared with others. Since early 2013, serendipitous events and circumstances led me to experience a spiritual awakening of sort. It marked the beginning of, to borrow the words of Joseph Campbell, my own heroine’s journey. I eventually recognized my passion for science fiction stories and my curiosity for the fluid nature of space and time; the inextricable link between science and consciousness; and the nature of our known universe as related to human existence. My personal exploration of these phenomenons ultimately inspired me to write Nexus Points. Much to my surprise, Nexus Points became a three-book story. Even more surprisingly, the story was only the beginning of a much longer story series set in another galaxy, not unlike ours, with its own constellations, planetary systems, life forms, technologies, geo-politics, belief systems and of course, conflicts. A lots of conflicts! I've since named the series Chronicles of A Soul Watcher. I desire to write stories that you as a reader can relate to and be swept away to futuristic and imaginary realms by. Stories that are entertaining, unpredictable and emotionally engaging. More importantly, I hope my stories can serve to connect us to our common human qualities and our yearnings, and to the deeper meanings of life. It’s a challenge that I as a writer willingly take on and struggle with everyday. Copyright, 2019. Take Flight Media, Inc.